I guess it's more of the small zipper pouch factory. I've made 7 of these suckers so far and I want to do at least one more. These are for my Mother in Law, Neice and Brother in law. I've gotten faster, but it still seems like every few has something wonky. I won't show you the one I had to toss out it was a bit of a mutant. The tan one is made of a Goodwill find shirt that was made of a nice tan check weave cloth. Almost looks like a linen version of a ripstop nylon. I thought that would be nice and masculine for a guy. The L bag is from French Provencal fabric which I bought from a lovely online shop called French Connections. They also have African fabrics and I really want to get some of those. 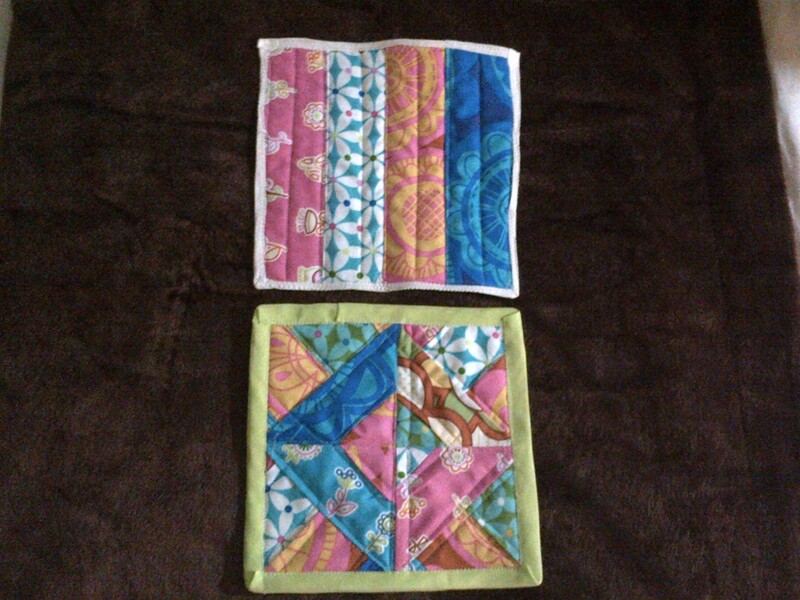 The bright monkey fabric is from Joann, and I thought it was cute for a 9 year old girl. And Mom - if you read this far -- I made one for you, too, but it's not blogged cause I know you read this and I didn't want to spoil the surprise. French Provencal, of course!